It's football season and I haven't decided if that's a good thing or a bad thing yet. I love that our whole family can gather around the table and indulge in a variety of delicious food and drinks while watching our favorite teams play. By the end of the night I always think to myself "oh boy, why did I eat all of that?" But, since I planned ahead, I made sure I had the 42 count box of Nexium® 24HR capsules from Wal-Mart on hand. By the end of the night heartburn used to set in and I always thought to myself "oh boy, why did I eat all of that?" Now, I don't have to worry about heartburn because just one pill a day of Nexium® 24HR is all it takes to get me ready for tailgreatness. 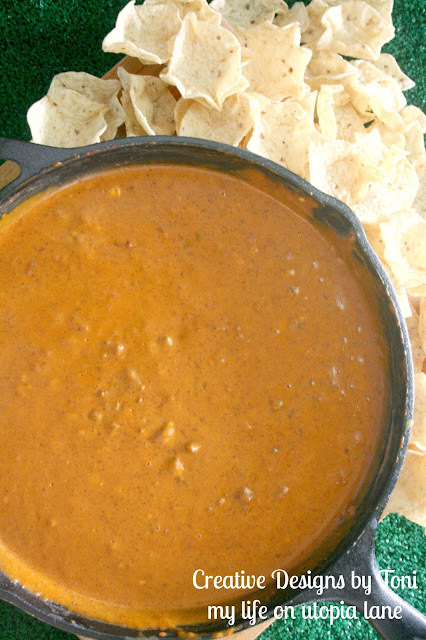 One of my favorite things to make is a sausage chili skillet queso served with chips. 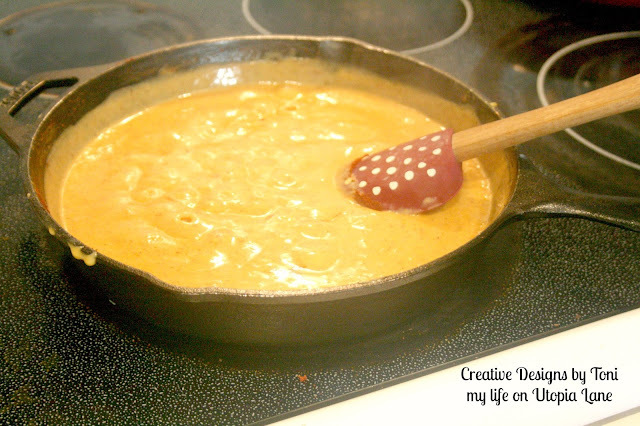 My boys love that they can eat with their hands and my husband loves the meat packed melted cheese dip. 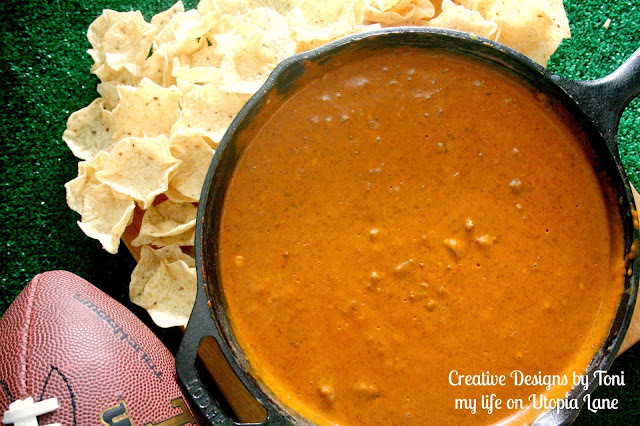 It's very simple to make and always a hit at our football watching parties. 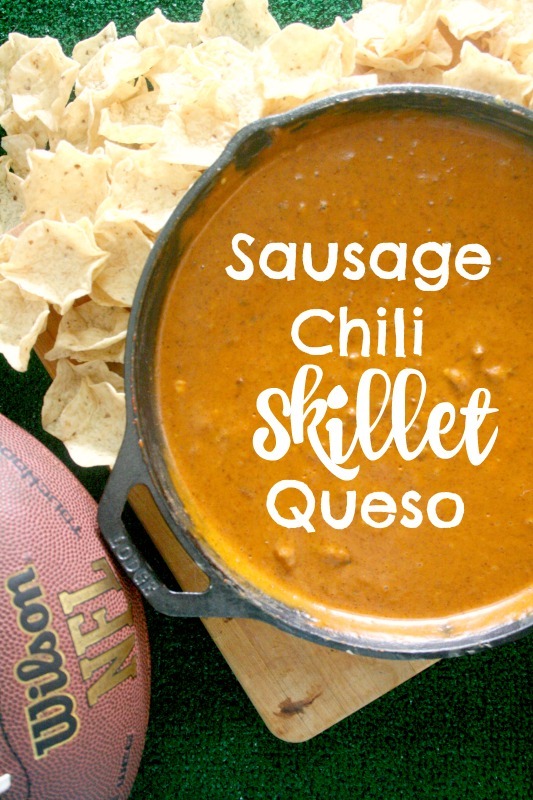 Plus, this makes a perfect tailgating or pot luck dish that's sure to entice everyone's taste buds. It's easy to get ready for our game day party when we have help from Wal-Mart. 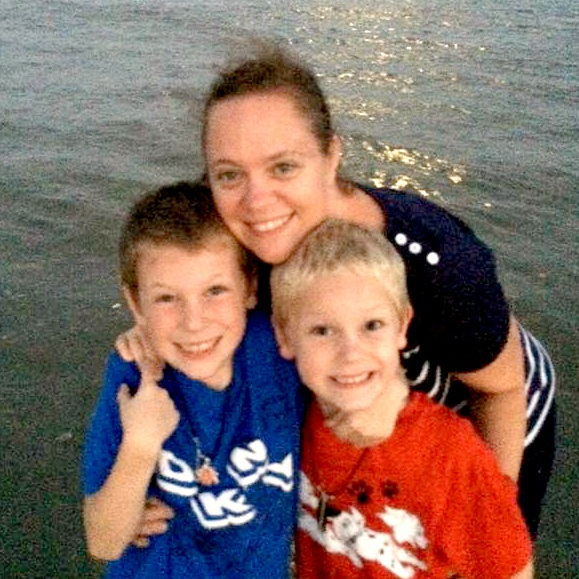 They have everything we need in one shopping trip and that helps this mom plan a stress-free family afternoon. 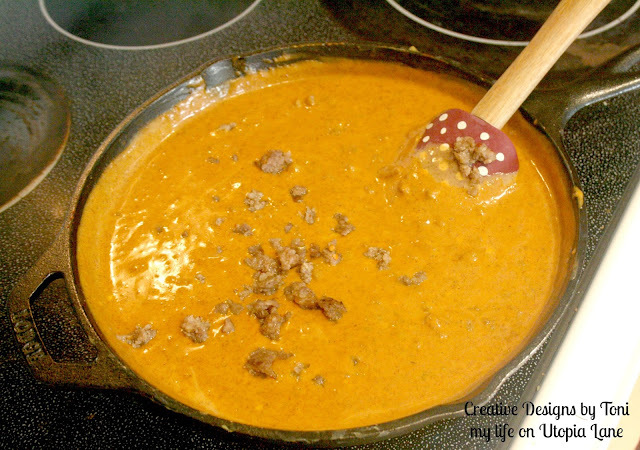 So be sure to head to your local Wal-Mart and stock up on all the essentials to make this delicious sausage chili skillet queso including the 42 count box of Nexium® 24HR capsules. 1/2 pound of ground sausage; browned and drained. 1. 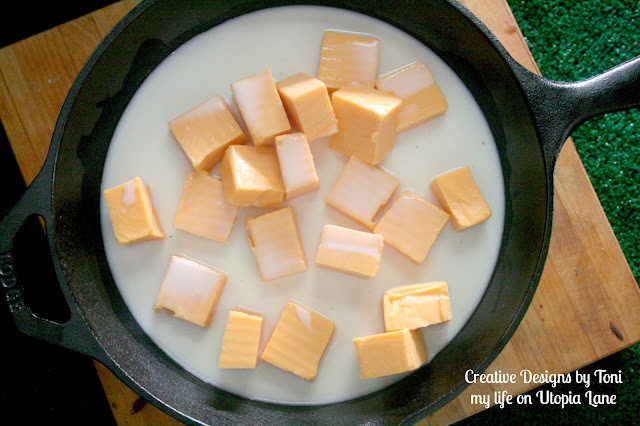 Melt cheese and milk in a skillet on medium heat. Continue stirring until cheese is melted. 2. Add all spices and lime juice. Mix well. 3. 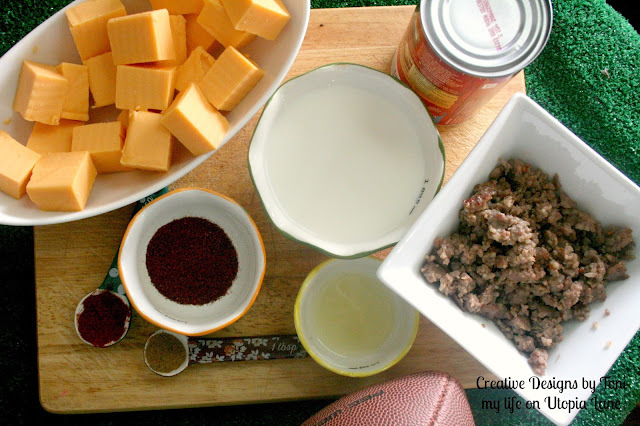 Add the can of chili and cooked sausage. Continue stirring until blended. 4. Serve warm with chips and enjoy! Don't let game day get you down. 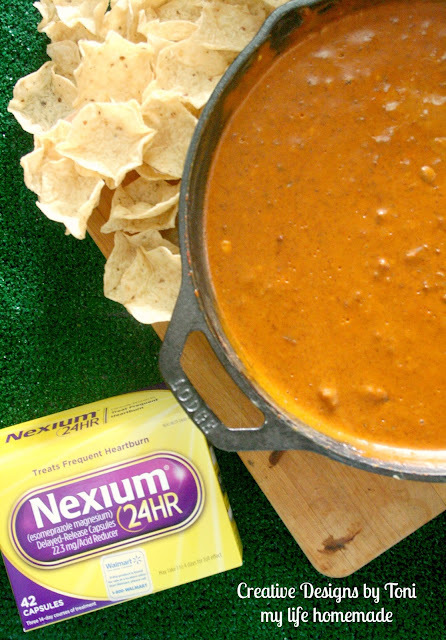 Let Nexium® 24HR help you take control of your frequent heartburn and let you enjoy game day food like our sausage chili skillet queso. Are you a die hard tailgator? What about a family funday? I'd love to hear how you celebrate game day. Plus, before you head to Wal-mart to grab your game day essentials, be sure to sign up for savings on your next Nexium® 24HR. *May take 1 to 4 days for full effect. Use as directed.